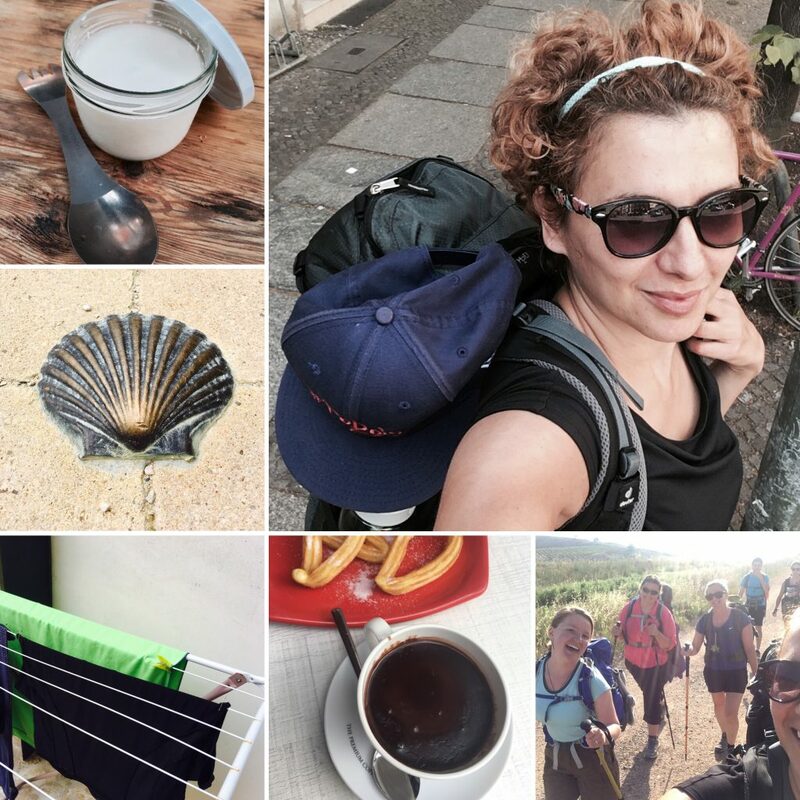 The following Camino de Santiago packing list has been tried and tested by myself walking 220km of the Camino de Santiago in Spain for a total of 10 days. Ladies and gentlemen, lo and behold! I just reached a new level of my minimalist game! I walked 220km for a total of 10 days only with cabin luggage. 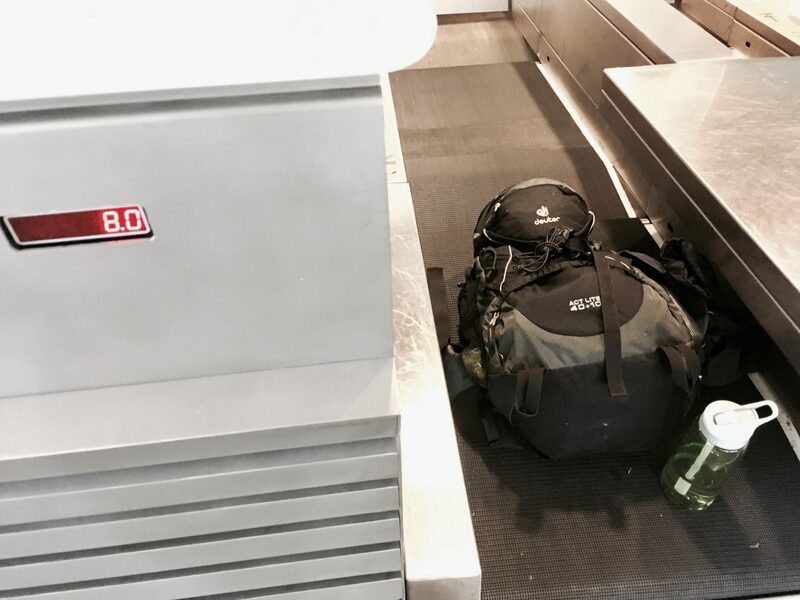 The total weight of my backpack together with water was 8kg (17,6lb)! I love traveling and I have been traveling a lot. Packing was something I was doing almost automatically. Checked baggage was a no-brainer. 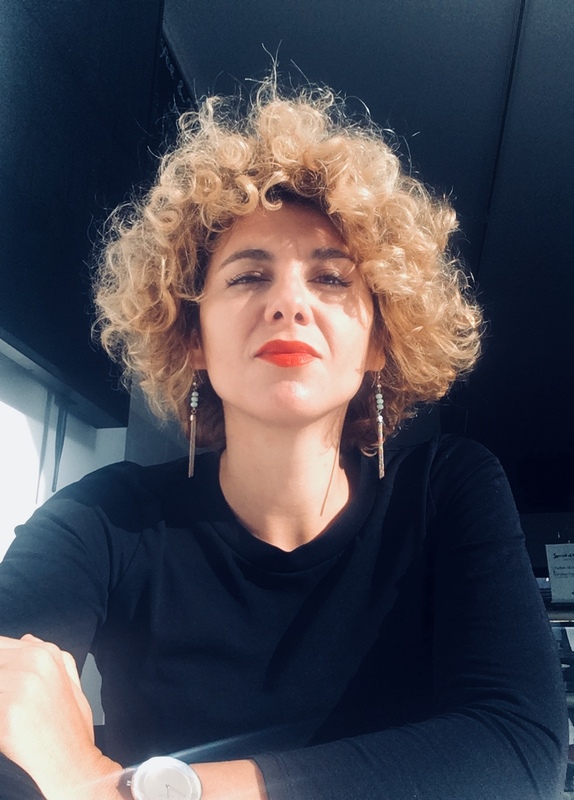 I assumed I needed various outfits and shoes for different occasions, something to dress up, something casual, a book or two, full-size shampoo, shower gel bottles, a whole makeup set etc. I had a big suitcase so I would grab everything I used at home and stick it in. My packing list was constantly growing. When I started to get into photography, I added a big, heavy backpack for my photography gear. I was at least 7kg (15,4lb) of itself. Plus the big suitcase with all the other stuff. Where was it going to lead? The Camino showed me how little I need and gave me immense freedom. I booked a flight to do the Camino. Now what? Fast forward to the beginning of June 2017 when I booked my tickets for the Camino de Santiago – a 790 km (500 miles) pilgrimage across the country of Spain! Many follow its routes as a form of spiritual path or retreat from everyday life. It is also popular with hiking and cycling enthusiasts. To me, it was more than simple walking, but more about it – in future posts. 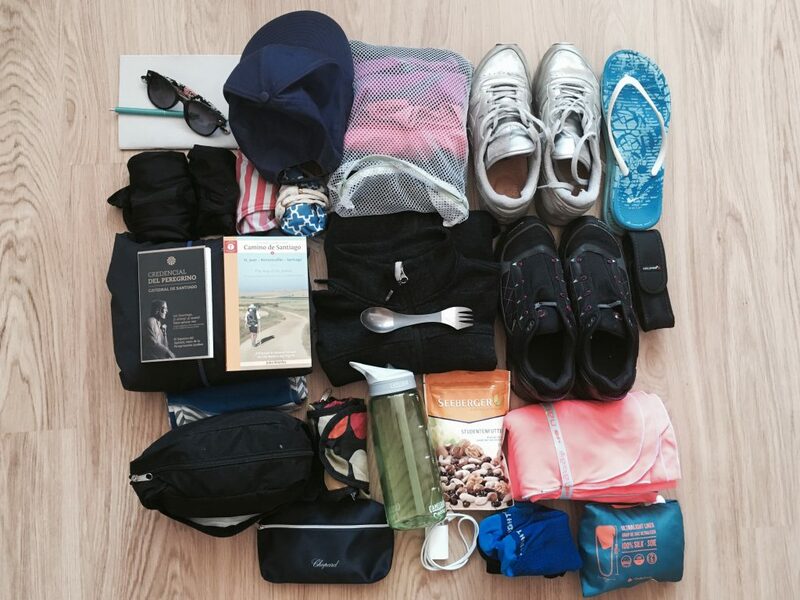 This article would be about my packing list and what I learned even before I stepped my foot on the Camino. Little did I know what I would need along the way. After a short research, I realized walking hundreds of kilometers across Spain with a heavy backpack is a NO-GO. So I had somewhere between 7 and 10 kg (15,4 – 22lb) at my disposal. I could have saved myself the extra charge for checked-in luggage (the risks of spontaneous decisions). After further research, I realized all of the clothing needs to be quick drying. I will have to wash the clothes every night so I can wear them in the next morning. This made a lot of sense! 2 x shoes – a pair of low hiking shoes and my light Reebok sneakers. I ended up walking mostly with the sneakers. The heavier hiking shoes were indispensable for rocky surfaces and the few days it was drizzling and the ground was wet and slippery. Rain poncho – this is something I decided to skip since my trip was in June and I was not going to walk the Galician part of Camino, known for its constant rains. Instead, I found a disposable rain poncho, which was more than a big plastic bag than a real protection from the rain. I ended up using it only once. 40+10L Ultralight Trekking Backpack – this is probably one of the best purchases I have ever made. It weights only 1.5kg (3,3lb) and was more than enough. I fell in love with the ergonomic design. It gently hugs the body, the load is transferred to the hips to relieve the back and shoulders. CamelBak 1L Water Bottle – this one is on the top of My Most Used Items list. It’s very important to stay hydrated especially in the 35+ C days (the 90s in F). Ultra light quick dry microfiber towel – it is one of my favorite things ever! Last time I towel shopped online, I ended up with more of a handkerchief than a towel. So this time I decided to get the largest I could get my hands on. I ended up with a huge 110 x 175 cm towel I could wrap myself twice with. I regretted it till the moment I discovered it doubles as a blanket. Reusable grocery bag – I used for buying food, and as a purse for the evenings out. Plastic zip lock bags for documents, wet clothes. Safety pins – I used the metal ones which are lightweight and don’t take up much space for fixing my clothes to dry. Silk sleeping bag liner – it’s like your own luxurious bed liner, which is also very light and protects you from bed bugs. It’s not as thick as a regular sleeping bag but as it was hot most of the time, I ended up using it a lot. Titanium Spork – I used it only once or twice but I loved how lightweight and still durable the 100% titanium spoon-fork-knife combo is. It only weights 20g (0.7 oz.) and the airport security let me carry it in my cabin baggage. I intend to have it with me back in the city to avoid usage of plastic cutlery at farm markets and such. Travel sewing kit – ended up not using but it was good to know I had it. Plus you might need a needle to treat the blisters. I was well prepared with comfy shoes and anti-blister cushions so I ended up not having blisters at all. Spray against bed bugs – bed bugs seemed like a big treat on the Camino as I was preparing my travel and reading online. In reality, I never heard anyone being bitten or seeing bed bugs in the auberges I stayed. Official Pilgrimage Passport (Credential) – The credential is required for pilgrims using public albergues. You need to acquire it before your trip. 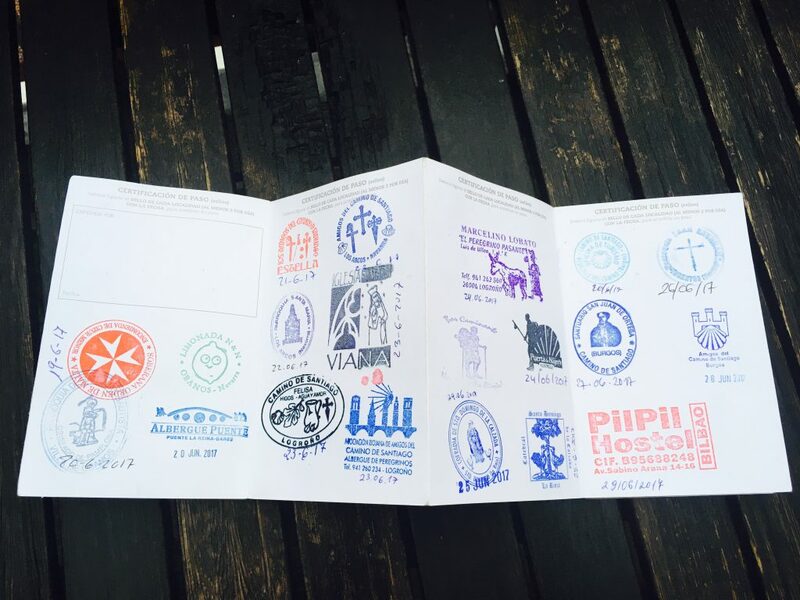 As you walk the Camino you collect stamps along the way. Once at the Pilgrims Office in Santiago, you will receive your Compostela upon showing the credential. A small light-weight wallet – don’t make the mistake of taking your big, fat wallet with all the credit, gym membership, business cards or whatever lives in your wallet. You don’t need any of that. An entire roll of toilet paper – some genius on the forums recommended that this is something you will be glad to have when the need arises. Additionally had a few small paper tissue packages to use for these intimate moments in the bush. I ended up carrying around the entire toilet paper roll without ever needing it. The 3rd Tshirt – I had this one just in case. It turns out one for the walking during the day and one to change for the leisure time is enough. I washed the walking Tshirt and it was dry until the next morning. The 3rd pair of underwear – same story as the Tshirts. The flashlight/torch I used only once at an extremely early start of the day before the sun has risen. It might have saved me from carrying a couple hundred grams. Journal and pen – I wrote things down on my phone and I never had an inspiration to write long essays. Ear plugs – ended up not using them. I was so tired after a long day of 20 – 3o km ( 12 – 18 miles) walking that I almost immediately fell asleep. The snoring in the auberges was massive but it didn’t bother me at all. could have saved money on checking in luggage. had a smaller carbon footprint. had an overview of all my stuff at all times. No need to dig around my big suitcase to find small items. So, do you dare to challenge yourself and your limits? Let me know how in the comments below your experiences with light travel! This post contains affiliate links. If you make a purchase using them, I will receive a small commission at no extra cost to you. 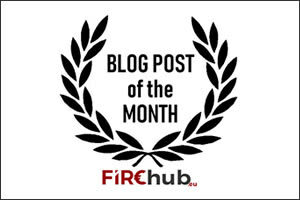 It helps to keep this site running – thank you! Have a great time on the Camino! I have several friends who have made this trek and each have come back with a unique, life changing experience. I look forward to hearing about your journey! Thank you Mrs. Adventure Rich! I am back home already and still under the Camino spell. I am looking forward to continuing the Camino for the next stage to León (another 176km) or even to Santiago if I have 3 weeks off. I have a friend who right this second is 420 km into the 600 km Camino del Norte in Spain. But I doubt he packed as well as you! or donated it at the auberges on the way. The Camino a liberating experience physically, spiritually and mentally. I recommend it highly! it’s good to hear from you! I would surely have needed more stuff like a rain poncho and warmer clothes if I did the whole Camino Frances. One thing I want to do next time is to sleep outdoors under the stars. For this, I would at least need some kind of a sleeping bag. Looking forward to hearing about your Camino del Norte!